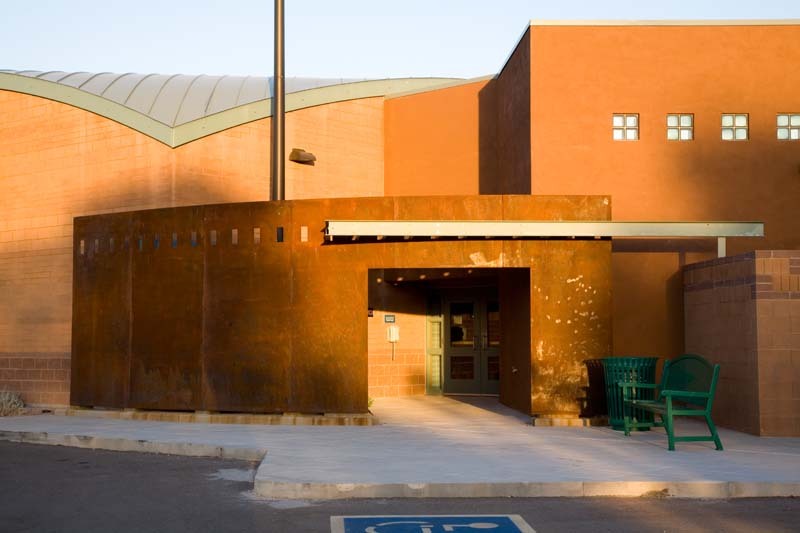 The City of Mesa Red Mountain Police Substation demonstrates a design concept that the city and police chief at the time were strongly embracing, with a design emphasis placed on community involvement and service. 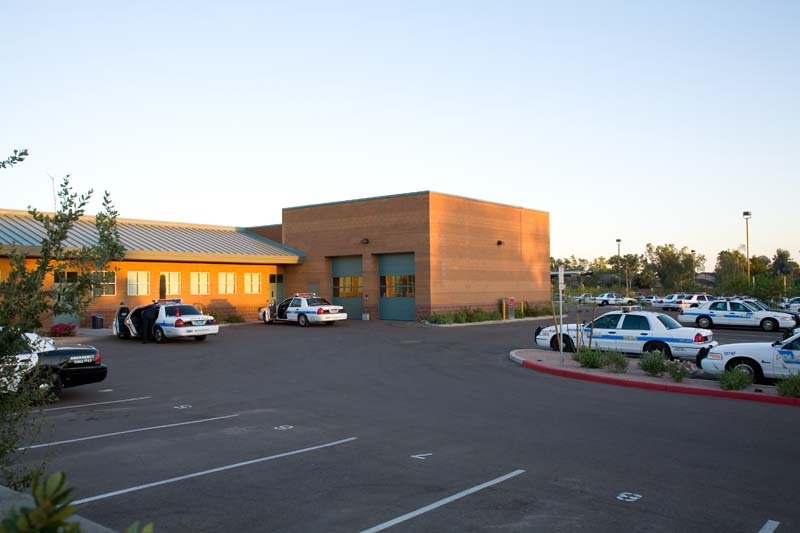 Thus, one of the key project goals was to configure the police substation to be available to its neighbors for holding community events and police outreach programs while serving its critical primary role as a public safety facility. Originally designed for 100 officers, the building is configured to support a proposed future two-story expansion that can provide for 200 additional officers and detectives. The Police holding and evidence storage area is for short term use only, and meets all legal and association standards. The facility also includes a natural gas fueling station to support vehicular needs for the police officers on duty. The design aesthetics of the building, use of natural materials and ultimate facility components and functions is the result of many stakeholder meetings and efforts to gather input from other facilities. 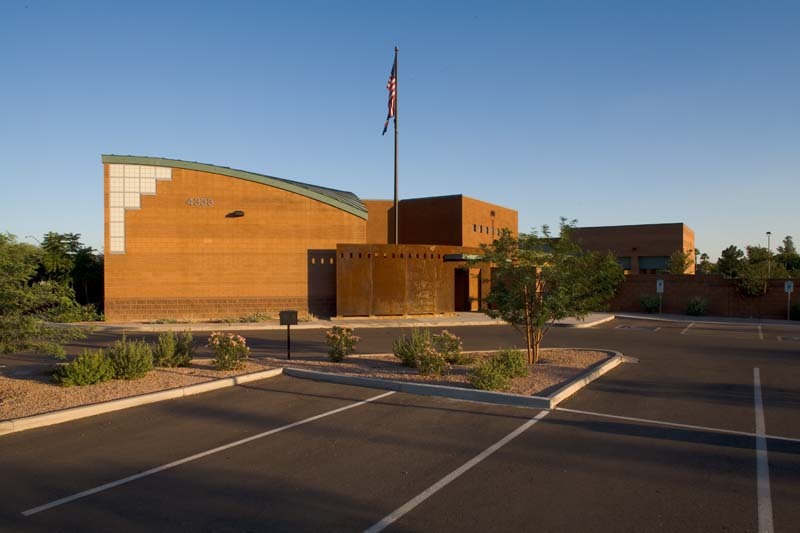 The ultimate outcome of this facility was much celebrated for its ability to engage with its community while also providing the necessary support and protection for the important police activities bravely undertaken by City of Mesa employees and public servants.